Unwanted noise around the house can be a nuisance. The “paper-thin” walls that you and your chatty roommate share. The wannabe rock star slamming on his guitar upstairs. The roar of a mufferless car rumbling down your street at 2 a.m. Not to mention all the appliances and technology we fill today’s homes with. It’s time you learn how to soundproof your house. Unless you live in a cement home devoid of openings, you are not immune to noise pollution. Luckily, the science of noise reduction is quite simple- decrease noisemakers and reduce the transference of sound from point A to point B. Soundproofing techniques include installing sound-absorbing surfaces and structures that reduce sound transference. Here are some awesome tips on how to soundproof your house to help keep exterior noise out and interior noise in. When trying to figure out how to soundproof your house, it’s important to keep in mind that the choice of materials used to decorate can actually play a huge role in noise reduction. Hard surfaces tend to reflect noise vibration in all directions, and soft surfaces absorb them. To minimize sound bouncing in a room, choose softer, denser materials to adorn your house. Opt for padded carpeting for floors. For wood floors, try using an area rug for extra noise absorption. If you have a great deal of noise coming from the upstairs, consider building an acoustic suspended ceiling. For noise reduction of interior walls, you have a number of options. Acoustical fabrics or panels, sound control insulation or double drywall may do the trick. Heavy drapes and large pieces of furniture will also do a good job of absorbing sound and reducing noise transmission from outside, making the room you’re in less echo-y. Even a big comfy couch will break up sound waves. Installing high-quality storm windows is an effective temporary fix for blocking sound. The added space between the storm window and primary window help to cutoff sound- the wider the space the better. 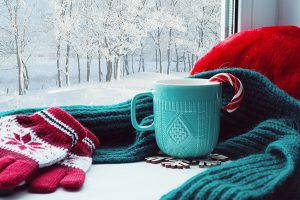 However, if your windows are the main culprit when it comes to letting in exterior noise, it is recommended you replace your windows for newer windows that are better suited and durable. Consider vinyl window frames, which are foam-filled for extra insulation. Not only will hardy, fitted windows reduce noise, but they are also more energy efficient, in turn lowering your bill. An awesome window style for noise reduction and increased energy efficiency is the double pane, or dual pane window. 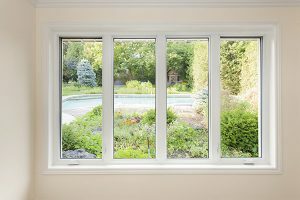 Double pane windows are windows with two panes of glass (compared to one) placed in the window’s frame. Between the two panes of glass is an odorless, colorless and harmless gas called argon gas. Argon gas is denser than the atmosphere, making it harder for sound to travel through. 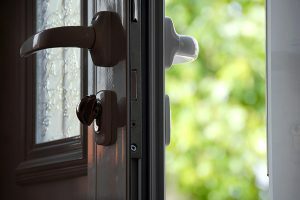 Choosing the right exterior door will also facilitate your noise reduction process. 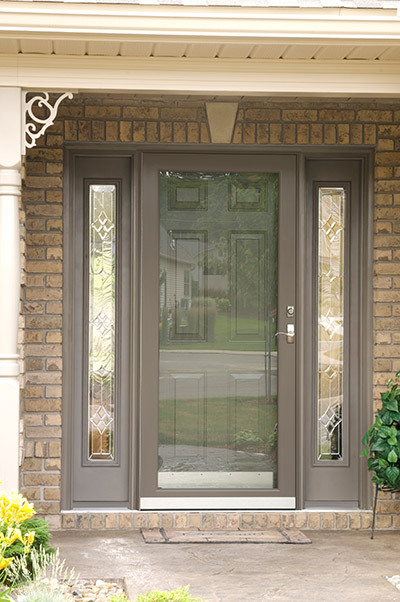 Select a quality, solid-core storm door for ultimate sound blockage. Solid-core doors are much better sound-blockers than hollow-core doors, and the storm door adds an extra barrier. Fiberglass and steel doors have foam insulation which will provide you with both noise reduction and increased energy efficiency. Although most interior doors are hollow-core, switching to solid-core doors inside your home could play a huge role in noise reduction. If you would like to designate a room in your home to be the “quiet room” where you could get work done or the kids can study, replace the hollow-core door for a solid-core door to keep outside noise out. Even though you’ve installed proper sound-blocking doors and windows, what’s the point of them if there are gaps? Similarly, noise will get in any openings around your door. The key to getting the most out of your sound-blocking windows and doors is to eliminate any gaps. The majority of sound seeps in around the door, not through the door, so getting rid of openings is crucial. 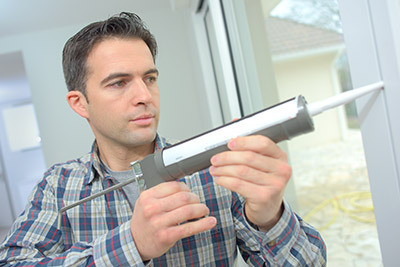 Thoroughly weatherstrip the perimeter of your windows and doors to seal out noise. 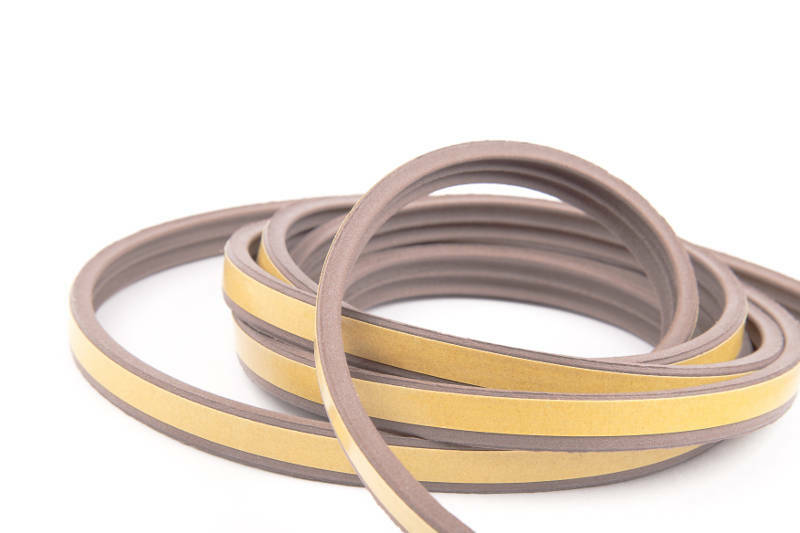 Weatherstripping is made out of rubber or foam with an adhesive back. It is an easy and affordable task which you could tackle this weekend. Learning how to soundproof your house with caulk and spray foam insulation is crucial because any gaps or crevices left unsealed will let sound filter though. Sound is similar to water in that it can creep in any opening. An effective technique used to figure out where cracks or gaps on your windows/doors are located involves using a candle or lighter. While standing inside your home, hold the flame near the door/window and move it along the frame. If the flame flickers, a draft is present. This is the area you will need to focus on filling. Be sure not to forget about sealing areas around pipes and wires that enter the house. Caulking not only reduces noise transference, it also can help decrease your energy bill by preventing air leaks. Caulking is fairly easy to do on your own and can go a long way in reducing unwanted noise. Getting rid of your window-style air conditioning units and adding central air conditioning will help soundproof your house. The problem with window-style AC is that air (and noise) flows through it from the outside in. Effective central AC allows you to keep cool without opening a window, keeping out the sounds of a noisy neighborhood. 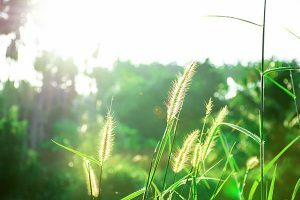 If it’s your air conditioning unit itself causing your ears to burn, perhaps it is time for an update. Older units tend to be more noisy than new units, as they are becoming run down. New units have also been designed to run more quietly. 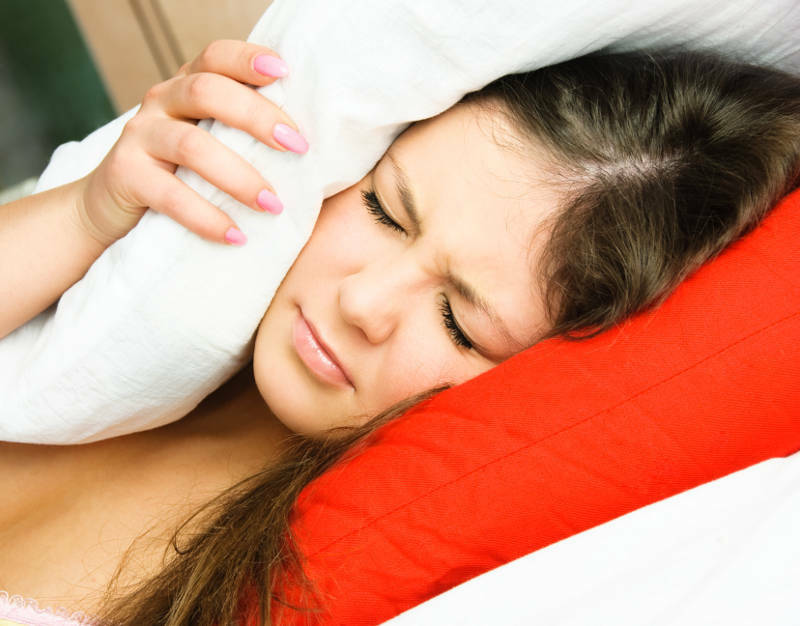 Unwanted noise can cause you to lose sleep and concentration, and is also very frustrating! Taking the right steps to soundproof your home could lead to a happier lifestyle. With proper equipment and techniques, you could have the peaceful home you’ve always wanted!